Detectable pull tape, mule tape, tone tape. 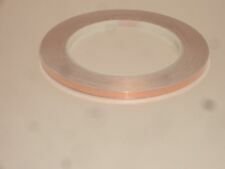 5/8"(approx) x 500 continuous feet (1800# Tensile) of Polyester Pulling Tape, Mule Tape, Slick Tape, Woven Webbing. 22 gauge insulated conductor. 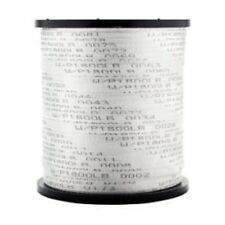 This tape is put up on a spool. 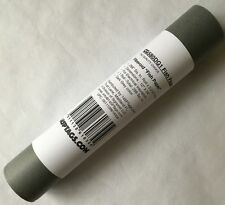 Fish Paper CG580DGQ1 Qty (1) Insulating Fibrous DARK GREY fishpaper Roll 12"x24"
288 sq. in. of DARK GREY insulating fibroid Fish Paper.The dark grey color is the traditional color in the industry. Slight variations in the color may occur in multiple rolls. Mill Miling Machine Linear Scale Linear Encolde And 3 AXIS Digital Readout. Actual physical length is 141mm longer than travel. This order includes one piece 3 axis digital readout and 3 pieces linear glass scales and other mounting bracket(whole set). Actual physical length is 141mm longer than travel. This order includes 2 pieces 5 micron linear scale and 1 pieces 2 axis DRO. It is compete dro kits with parts for mounting. The linear scale must choose from 50-1000mm travel length. Bushing Kit. Constant Speed Disc Repair Kit for Reeves XV Moto Drive and MAS51 Drive. Sizes: 050-100-200. Model 41511265WC. Allen-Bradley GE Dodge PT 415112 65 WC Bushing Kit, Constant Speed Disc Repair Kit, Sizes 050-100-200, For Reeves X-V Motodrive and MAS 51. Rayon is an imitation of silk (because silk is expensive) and cotton is cotton. Whether you choose cotton or rayon is a personal preference. Dress-Up and Customize your toggle switches (and rotary switches) with our cool Switch Covers. 2 Axis Digital Readout for Milling Lathe Machine DRO Precision Linear Scale New. 1、About Digital Readout：. 1 x 2 Axis Digital Readout. 2、About Linear Scale Encoder：. Reference Marks at Interval Of 50mm. DRO Slide Bar can be cut to fit specific applications. Magnetic Remote display with 50" cord for easy installation and access. 1x LCD Display. Product Details. Includes brackets for vertical or horizontal mounting. CR-14250SE-FT 3V Lithium Cylindrical Computer Batteries. Fish Paper CG580LGQ1 Qty (1) Insulating Fibrous LIGHTGREY fishpaper Roll 12"x24"
288 sq. in. of LIGHT GREY insulating fibroid Fish Paper. Slight variations in the color may occur in multiple rolls. Ideal for wire pulling. Made of 100% polyester at our local factory in Pennsylvania. You are cutting out the middle man and reducing costs in the process. Pre-Lubricated to reduce friction and prevent duct cutting. Of insulating fibroid Fish Paper.Vulcanized Cellulose Fiber for All Electrical Insulation. Item description: This order includes 2 pieces 5 micron linear scale and 1 pieces 2 axis DRO . It is compete dro kits with parts for mounting. DRO description: The digital readout(DRO) in GCS series which producted by our company is a high precision instrument that can be used on lathe,grinding machine,milling machine,boring machine and EMD TO make the position detection. Basic functions： 1:zero clearing 2:reset 3:mm/inch mode 4:ABS/INC coordinate conversion 5: 200sets sub datum 6:power off Memory; 7:center of1/2 8:liner error compensation 9:sleepping mode 10:Clear 200 sets Sdm datum; 11:ABS/INC mode 12:calculator 13:drilling of circumference 14:drilling of oblique line 15:machining of inclined plane 16:machining of circular arc 17:lathe function(match) 18:Rectangular lumen gradual pro. 2/0 gauge non-insulated ferrules, 0.98" (25mm) pin length. Use these ferrules to prevent wire ends from fraying or breaking. Ferrules, 0.98" Pin Lg. WARNING: This product can expose you to chemicals including lead, which is known to the State of California to cause cancer. PowerFast Cable Tacker Staples. Fits Powerfast cable/wire tacker 31000 & 31000E Stapler. Model: 31010. Quantity:625 staples. Fastens wire and flat or round cable up to 5/32". NEW for the 2017 NEC®! Don't be limited by the sets that have only 48 tabs. The 2017 EZ Tabs. TMgive the user more flexibility. The best reference tabs that you can get for the 2017 NEC® now include the EZ Formula Guide. 1 x DIY D2-1 line follower smart robot (diy parts). Alpha Delta Communications Transi-trap surge protector/ lightning arrestor TT3G50 Female N-type. Both ends. Two rollsof 288 sq. in. of DARK GREY insulating fibroid Fish Paper. A t otal of 576 sq. in.The dark grey color is the traditional color in the industry. Ideal for all Electrical Insulation. 1、About Digital Readout：. 1 x 3 Axis Digital Readout. Operation Keyboard: Sealed diaphragm touch keys. 2、About Linear Scale Encoder：. Display: 7 digit with plus and minus symbol display. We also have：100,150,200,250,300,400,450,500 ,550,600,650,700,750,800,850,900,950,1000mm 5um. USA assembled in scales, 1 day ship, USA based support! Manufacturer: Harting. Type: Power Connector. UPC: 780333836056. EAN: 0780333836056. GTIN: 00780333836056. This makes the import process very simple. We back up all of our sales 100%. Product Information. Raised ribs provide non-slip gripping profile for turning to lock and unlock. Double dovetail design provides superior protection against cord pull-out forces. Impact- and corrosion-resistant durable nylon 6 shell material. Omron Y92E-P1D2H2-101 4-Wire Connector Cordset.. . Omron Corporation. UPC: 683194543005. EAN: 0683194543005. GTIN: 00683194543005. ASIN: B01LW3T7CF. This makes the import process very simple. Note: only one display is supplied with each unit. Ability to set “PRESET” values. T These are the 2016 EZ View Plus, the newest of the popular and cost effective iGaging digital readouts. These units have the capacity to export data via a data output cable (Available HERE) and run on alternate power via an AC plug adapter.